It was the first time India scored 200+ runs in back-to-back T20Is. 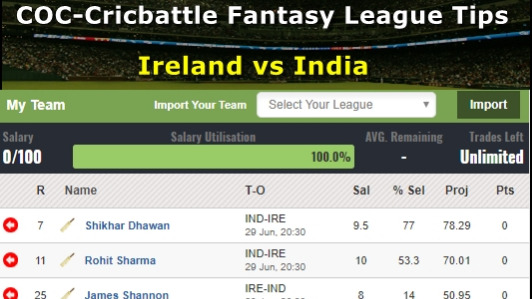 India and Ireland faced each other in the second and final match of the T20I series in Dublin. On a hot afternoon, the new pitch saw a bit of grass again and gave the impression of movement off the pitch. Gary Wilson, Ireland skipper won the toss and chose to bowl first once more. Ireland brought in William Porterfield in for Poynter. India, on the other hand, made four changes in bringing in Siddarth Kaul for his India debut, Umesh Yadav, KL Rahul and Dinesh Karthik. Virat Kohli opened with KL Rahul for India and despite looking good, was dismissed for 9 by Peter Chase. KL Rahul and Suresh Raina then added 106 runs for the second wicket. Rahul was the aggressive one in the partnership with 70 off 36 balls with 6 sixes and 3 fours. Raina also played some delightful shots in his 69 off 45 balls with 3 sixes and 5 fours. Rohit Sharma went back for a duck, as Kevin O’Brien picked up all the three big wickets and put pressure on India and at one time looked like Ireland will be able to keep India under 200. But then Manish Pandey (21*) and Hardik Pandya (32* off 9 balls with 4 sixes and 1 four) pushed India to 213/4 in 20 overs. This was the first time India had made 200 plus runs in consecutive T20I matches. Kevin O’Brien picked 3/40 in his four overs and was the pick of Irish bowlers. Ireland knew that it was a big task for their batsmen to chase down 213 runs and it was made difficult for them by the Indian bowlers. Umesh Yadav removed Paul Stirling on the second ball of the innings and then removed William Porterfield for 14 runs. Siddarth Kaul picked his first international wicket of Shannon for 2 runs. Yuzvendra Chahal then came on and removed Balbirnie and Simi Singh, leaving Ireland tottering at 36/6. Ireland was finally bundled for 70 runs. India won the match by 143 runs, the second biggest victory in T20I history by runs and secured the series 2-0. It was the first win for the Indian team in T20Is by more than a 100 runs. 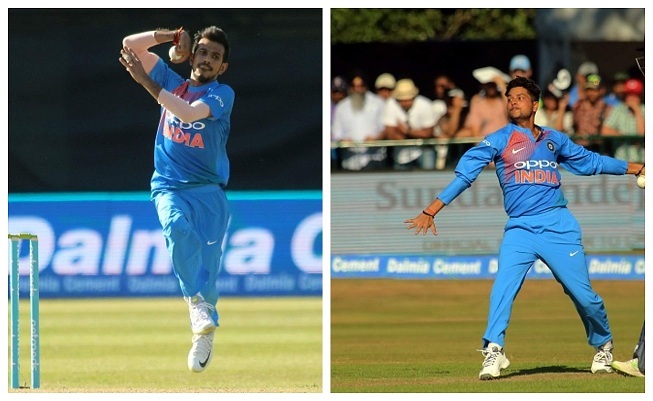 The spin twins ended with 13 wickets in two matches cumulatively. It was a clinical performance from the Indian team who saw no opposition from Irish batting lineup, who faced such a high caliber of spin bowling in T20Is for the first time.